Quality photos are the essential piece for a sale of an estate. Whether the images are displayed in MLS in small format, in Flyers or on a website of an agent, the picture need to be of high quality, bright, and attractive. Pictures on images serve one and only one purpose, and that is to invite the prospective buyers to visit the home by increasing their curiosity and urge them to see it in person. FND Photography (click here) serve the Real Estate professionals and others in the Greater Salt Lake City area to display their properties in the best way possible. 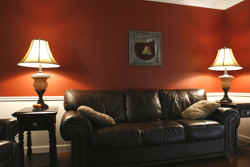 FND Photography provides professional photography services to Real Estate Agents for their listing. They take high-resolution images and provide a CD with the images that are ready to be given to the clients as a memory of their past, as well as images that are ready for MLS listings.